Part of the Tuscan landscape since 1124. Castello di Gabbiano has been a part of the Tuscan landscape since 1124 and with a winemaker who is a true Tuscan son - Federico Cerelli was born in Florence - it is as authentic as they come. With 140ha of vineyards in the Chianti Classico region, it is also one of the largest producers in the region. 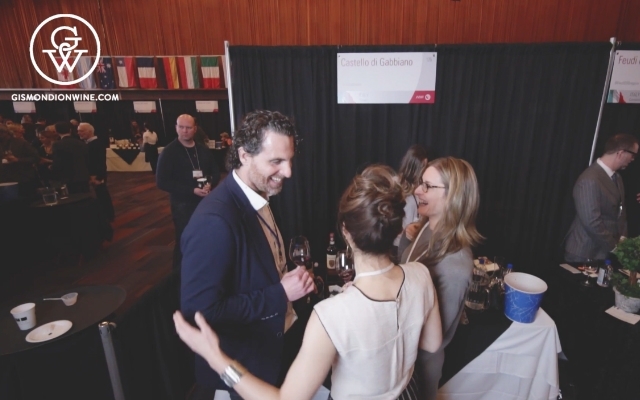 We interrupted Federico at his booth to taste a glass of Belleza, Gabbiano’s Gran Selezione, a new category of the very best wines made in Chianti Classico.